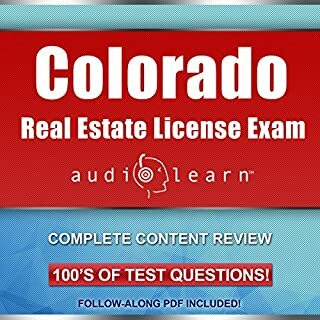 Complete Audio Review for the Real Estate License Examination in Colorado! Developed by experienced real estate professors and professionally narrated for easy listening, this course is a valuable tool when preparing for your real estate license examination in Colorado. The audio is focused and high-yield, covering the most important topics you need to know to pass your examination. There is a Q&A and a key takeaways section following each chapter to review questions commonly tested and drive home key points. Also included is a complete practice test containing the most commonly tested questions with the correct answers explained. Colorado? No, none of Colorado. 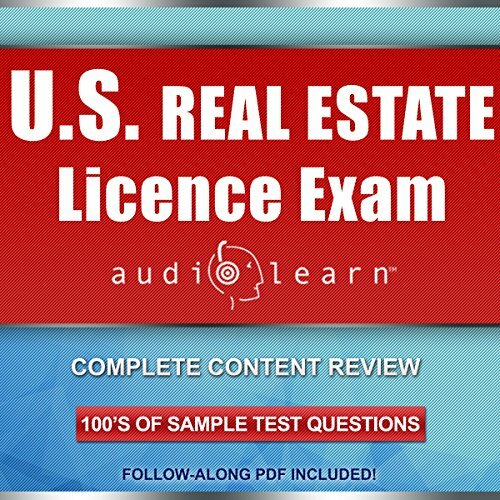 Complete Audio Review for the Real Estate License Examination in Texas! Developed by experienced real estate professors and professionally narrated for easy listening, this course is a valuable tool when preparing for your real estate licensure examination in Texas. The audio is focused and high-yield, covering the most important topics you need to know to pass your licensure examination. The material is accurate, up to date, and broken down into 15 bite-sized chapters. There is a Q&A and a key takeaways section following each chapter to review questions commonly tested and drive home key points. Do Not Use for Texas RE Exam Prep. Complete Audio Review for the Real Estate License Examination in Florida! 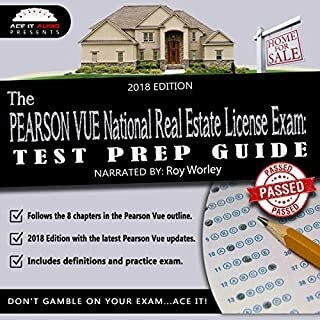 Introducing Florida Real Estate License Exam AudioLearn: A Complete Audio Review for the Real Estate License Examination in Florida! Developed by experienced real estate professors and professionally narrated for easy listening, this course is a valuable tool when preparing for your real estate license examination in Florida. The audio is focused and high-yield, covering the most important topics you need to know to pass your examination. NOT a good FL pre-license prep book. 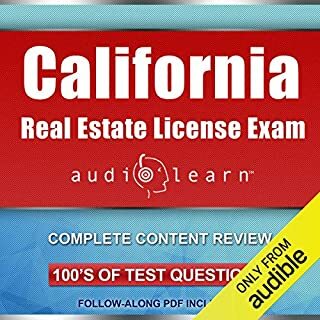 Illinois Real Estate License Exam AudioLearn - Complete Audio Review for the Real Estate License Examination in Illinois! Developed by experienced real estate professors and professionally narrated for easy listening, this course is a valuable tool when preparing for your Real Estate License Examination in Illinois. The audio is focused and high-yield, covering the most important topics you need to know to pass your examination. The material is accurate, up-to-date and broken down into 15 bite-sized chapters. There is a Q&A and a “key takeaways” section following each chapter to review questions commonly tested and drive home key points. Complete Audio Review for the Real Estate License Examination in North Carolina! Developed by experienced real estate professors and professionally narrated for easy listening, this course is a valuable tool when preparing for your real estate license examination in North Carolina. Developed by experienced Real Estate professors and professionally narrated for easy listening, this course is a valuable tool when preparing for your Real Estate Licensure Examination. The audio is focused and high-yield, covering the most important topics you need to know to pass your exam. The material is accurate, up-to-date, and broken down into 14 bite-sized chapters. There is a Q&A and a "key takeaways" section following each chapter to review questions commonly tested and drive home key points. 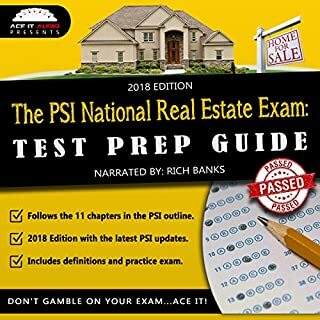 Also included is a complete practice test containing the most commonly tested questions in the National Portion of the Real Estate Licensure Examination with the correct answers explained. We have also included a follow-along PDF manual containing the entire text of this audio course as well as sample forms, contracts, and documents which we'll be reviewing in the audio. It was really difficult for me to grasp and understand the concepts being taught due to the fact that it continuously makes flashcard like statements throughout the entire book and doesn't explain many of the concepts properly. It does have some useful definition reviews, and practice questions (although some were really nonsense), but overall I didn't find it useful to use as a learning tool. The publisher needs to put an audio sample of an actual lesson and not of their introduction, so that listeners can get a true indication of what the book is really like before buying it. I can’t even open this book although I’ve sent an email saying as much. I checked it a couple of days later hoping enough staff to cover it. 3/4 of the way to the end, all the answers are being read inline, so if the answer is ‘a’ you will know the correct answer is ‘a’ before you hear any other possible answers. Every single question was like this after a certain point. Good content, just very distracting towards the end.shoukd be easy to correct. a few errors. use the PDF! PDF is on full website. a few errors, very few, in audio and in PDF. study closely and u will easily recognize. very valuable study resource. just focus, sit, view PDF and read along while listening to the narrator! This is an excellent study guide for the real estate exam. 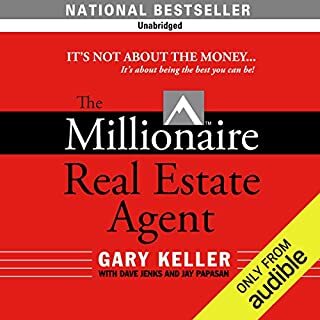 I started this book while I was taking the real estate class and there were some classes where I already knew the information because I had already listened to this audible book version. I have not taken the exam yet and believe that this book will help me pass the exam. I am very happy I bought this book as additional study material to what I was given in my class. When getting prepared to take the real estate license exam, AudioLearn’s U.S. Real Estate License Exam course offered a refreshing approach to getting equipped to take this challenging test. What sets this course apart from the rest is its fusion between the audio and the visual components of study material. In combing these two mediums, this particular course is able to simulate a structured classroom setting for studying, from the comfort of your own home. Having this sort of flexibility with the study material for this course was essential when establishing how I wanted to prepare for this exam. Perhaps one of this course’s best features is the way it began; aside from explaining to the student what will be required to sit for their state exam, this course immediately considered common misconceptions about the real estate profession as well as pitfalls that many students would encounter when beginning to get ready for such a lengthy exam. 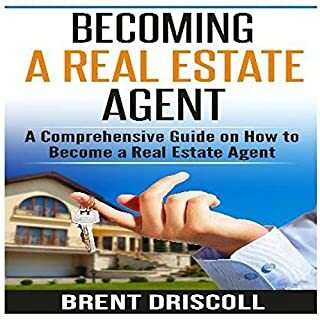 Additionally, this material offered several tips about taking the actual exam and explained the different types of licensure that would be needed for the different branches of the real estate profession. Beginning this way established early-on that this course’s study approach was not only meant to help me efficiently prepare for the exam but was also designed to help guide me through the industry and helped me to understand exactly what branch of real estate I wanted to pursue as a career. Clear and concise descriptions of terms and processes was valuable and repetition on hard to grasp concepts was helpful. Confusing word pairs clarification was also helpful. A very good introduction that will make you feel comfortable with Real Estate but you will need to supplement it with other options. Don't expect to pass your test with this alone. I did find the pdf version of this book anywhere in the library. Although it mentioned everywhere including in the picture of the book.